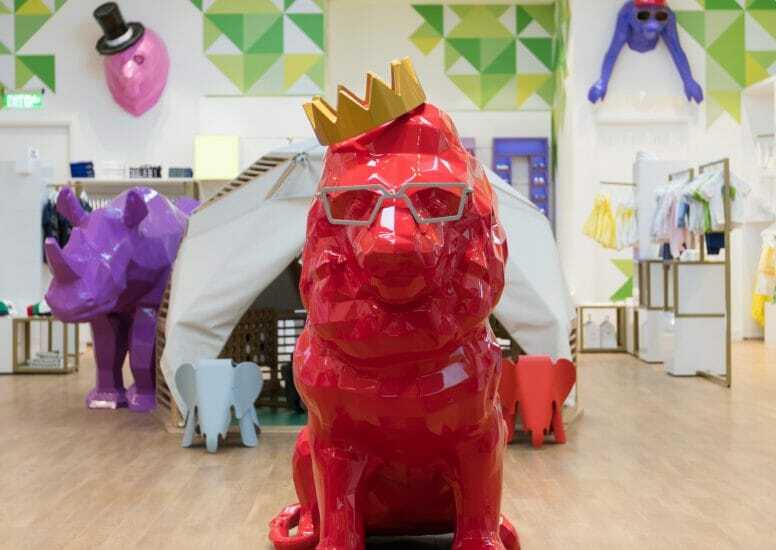 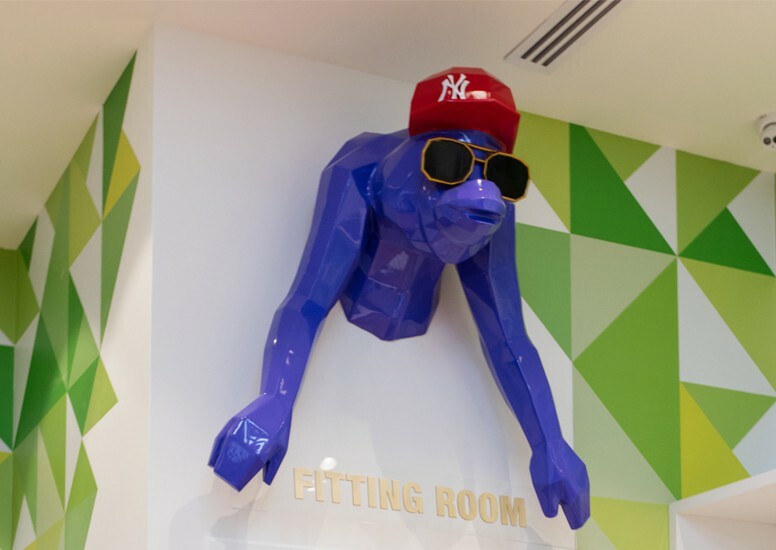 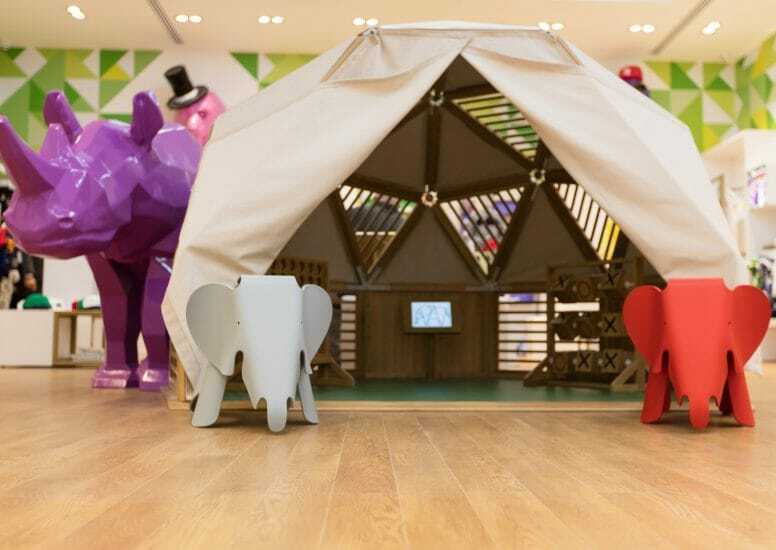 Other animals are featured as part of the in-store displays are the geometric snakes which feature girls and boy’s footwear. 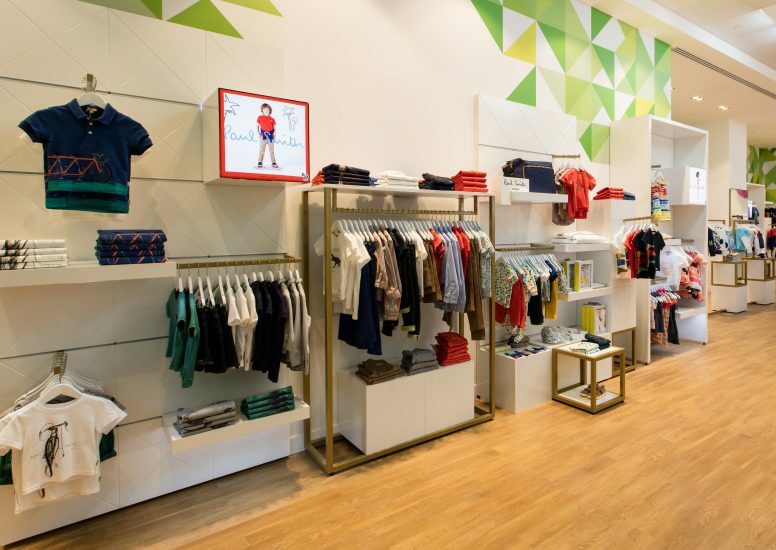 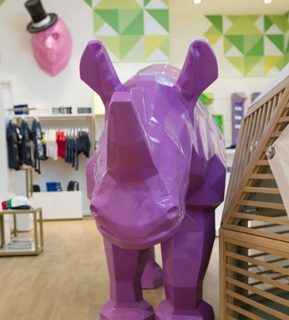 Colour co-ordinated – purple for girl’s shoes, green for boys – the snakes can be found with shoelace tongues to accentuate the playfulness of the overall store concept. 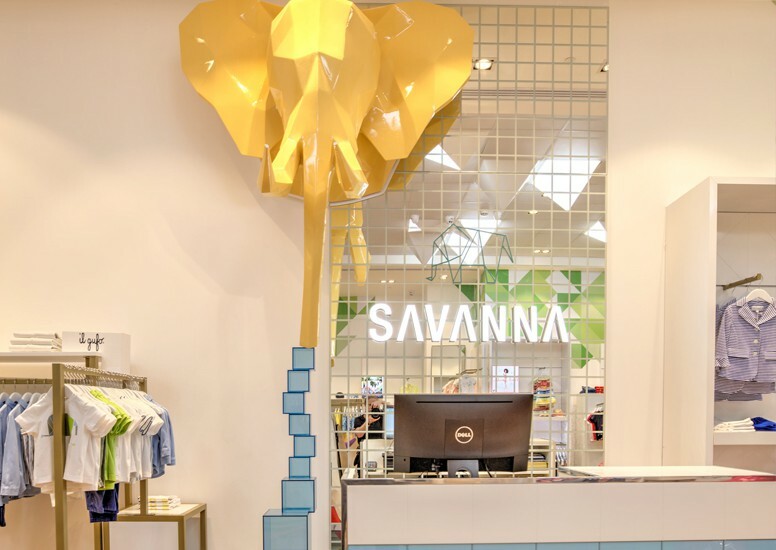 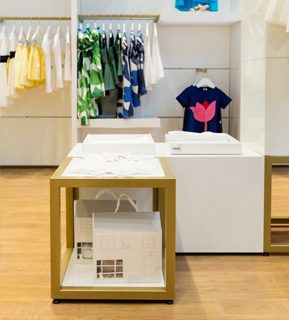 Our installation of further unitary around the store is simple but entirely bespoke for the Savanna brands, with geometric patterns etched into the material.